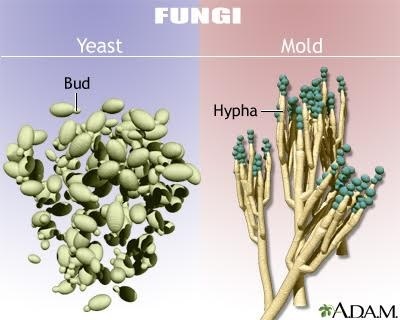 Mold and yeast are two types of fungus. Both can cause allergic reactions. Fungal spores can circulate in the air and may cause allergic rhinitis when inhaled.